Montchanin Builders has chosen one of the most highly respected mortgage lenders in the country, Supreme Lending, to provide custom financing for its stunning collection of new construction homes and award-winning residential projects. Supreme Lending, ranked #33 in the Top 100 Mortgage Companies in America, is known for its time-honored philosophy of “building customers for life.” That old school way of doing business accounts for why the majority of Supreme’s clients come from referrals from satisfied customers and real estate professionals who know a Supreme Lending sale is virtually as good as done. The Miglino & Dunckley Team, made up of Theresa Miglino and Katherine Dunckley, are Supreme Lending’s top loan officers and mortgage specialists. They are charged with the important task of providing the highest level of customer satisfaction for Montchanin Builder’s residential clients. 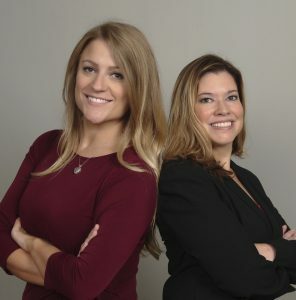 Theresa and Katherine embody the Supreme culture of “the customer comes first” by building customer relationships through relentless hard work, attention to detail and constant communication with the client and the lender until the day of the closing. That philosophy endears Theresa and Katherine to customers, lenders and realtors alike. Supreme Lending is what is known as a mortgage originator which means that Supreme can underwrite, close, and fully fund your residential mortgage. Because Supreme can provide its own financing, you’ll be able to take advantage of some of the lowest rates in the industry and low closing costs. Supreme Lending also utilizes its own advanced loan processing software and automated underwriting systems to provide the quickest turnaround time from online application to fully funded loan. 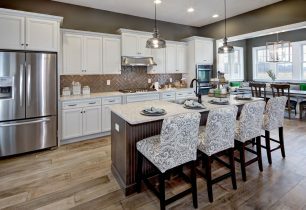 At Montchanin Builders, we have selected a financial partner that we believe matches the peerless standard of excellence found within our homes. That’s why we chose The Miglino & Dunckely Team of Supreme Lending, the nationally recognized mortgage industry leader, to help guide our buyers through home financing and make their dreams come true. Contact The Miglino & Dunckley Team today!